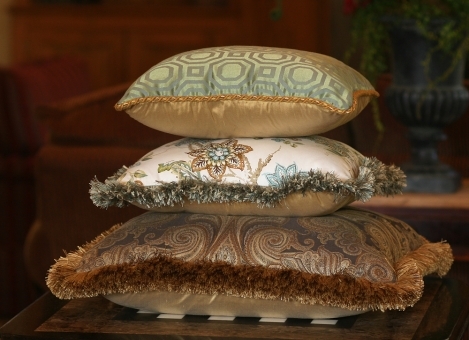 Custom Pillow Source offers a variety of fabrics for custom cushions, drapes, pillows and more! Select your topic of interest from our list below for more information regarding care and cleaning. Apply cleanser to stains using a strong brush. When cleaning, do not rub or scrub the fabric too harshly. Immerse fabric in a solution of 1/4 cup mild soap per gallon of lukewarm water. 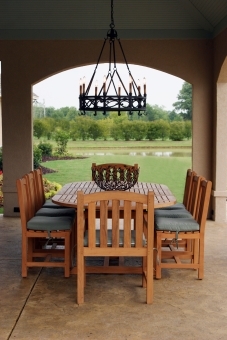 If you choose to use a professional cleaner for your Sunbrella fabric, ask about their experience with cleaning and re-treating Sunbrella fabrics. In most instances, do not dry clean your Sunbrella fabrics. Because window glass magnifies the sun's rays regardless of the season, it is important to protect your fabrics from the sun. One option is to employ trees and shrubbery to help eliminate sunlight. Otherwise, draw your shades during the day or use awnings when possible to block the sun's rays. In addition, colors can also fade through oxidation, or gas fading, so it is important not to keep your Robert Allen fabrics in storage for a long period without airing it out. 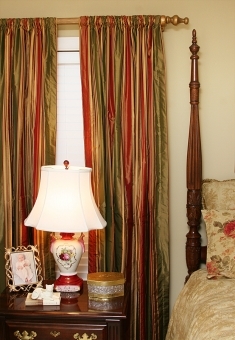 If you are using Robert Allen fabrics for draperies or curtains, line and interline to prevent fading. It is important to vacuum your Robert Allen fabrics often to remove dust and other substances. Also, try to dry clean your fabrics at regular intervals so impurities do not collect. Do not try to remove any spots or stains yourself. Because most fabrics breathe and retain moisture, few fabrics are constant. This often results in fabric stretching or shrinking as much as 3 percent in length. To prevent even greater changes, do not place your fabrics around heating and cooling vents. While a finish does not eliminate the necessity of properly caring for fabrics, the often help fabrics resist spotting. Generally, light colors are likely to benefit the most. However, if a stain occurs, it should be given immediate attention by a professional dry cleaner. To avoid dirt from collecting, regularly clean your Outdura fabric. By simply removing excess soil by lightly brushing your fabric or washing the area with tepid water, you can increase the lifespan of your fabrics. If you wish to hand wash your removable covers, soak the fabric in a gallon of lukewarm water and gently scrub using a sponge or brush. If necessary, add a quarter-cup of mild soap. Be sure to rinse the area completely to remove all residues and allow your fabric to airy. 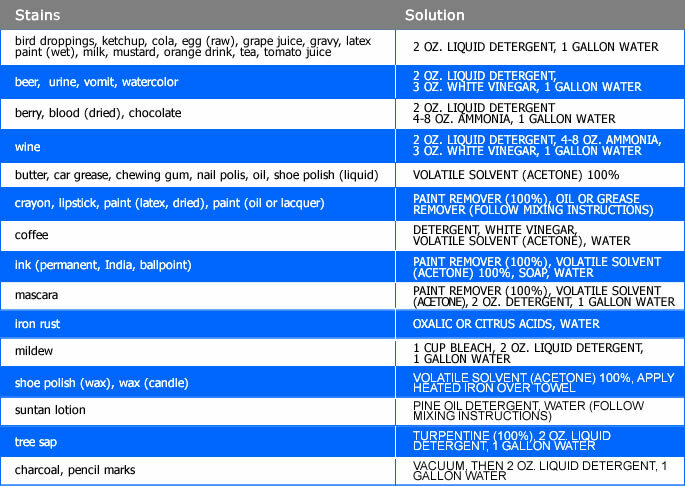 To remove stubborn stains or mildew, mix 1 cup of bleach, 1/4 cup of mild soap, and a gallon of water. Allow the stained area to soak for 20 minutes prior to gently scrubbing with a sponge or clean towel. 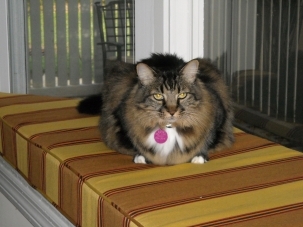 Be sure to rinse the area thoroughly and allow the fabric to air dry. For light cleaning, mix 1/4 cup of mild soap and a gallon of tepid water. Allow the mixture to soak the fabric. Be sure to rinse the area completely and allow your fabric to air dry. To remove stubborn stains and mildew, mix 1 cup of bleach, 1/4 cup of mild soap, and a gallon of water. Allow stained area to soak for 20 minutes prior to gently scrubbing the area with a sponge or brush. Afterwards, be sure to rinse completely to remove all residues and air dry your fabric.